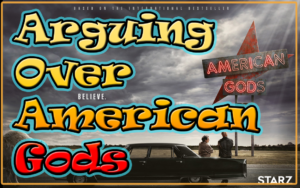 The boys argue about the latest television show of nerdy note: American Gods. And shocker: We don’t entirely agree on everything! Join for a near two hour discussion of everything from Gaiman to Grossman.